With winter finally coming to an end, an important journey in students' lives also reaches its culmination. As spring will start soon, their life will begin blooming in various aspects. 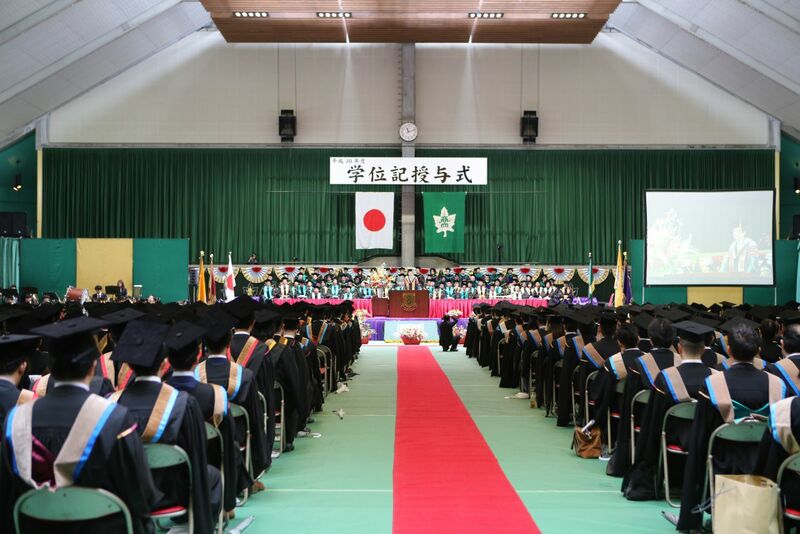 The 21st of March 2019 represented this pinnacle as the Graduation Ceremony was held at Nagoya University of Commerce & Business, Nisshin/Nagakute Campus, with 344 undergraduates and 123 graduates receiving their sought after diplomas. The undergraduate students, who entrusted us 4 years ago for their education in business and management, have enjoyed a great journey. There has been plenty of sunshine but they also sailed through many rough seas, and after every torrential rain, a rainbow always awaited them. Every single experience they had since joining us, inside the classroom, during the club activities, studying abroad, doing internships, job hunting, etc., have led them to be who they are today and will remain a contributing factor down the line in their personal and professional lives. As they have now set on a new course, various challenges may arise and rock their ship but equipped with the 'Frontier Spirit' they have gained at NUCB, they will be capable of going through the eye of any storm and discover the infinite possibilities that stretch across the horizon. 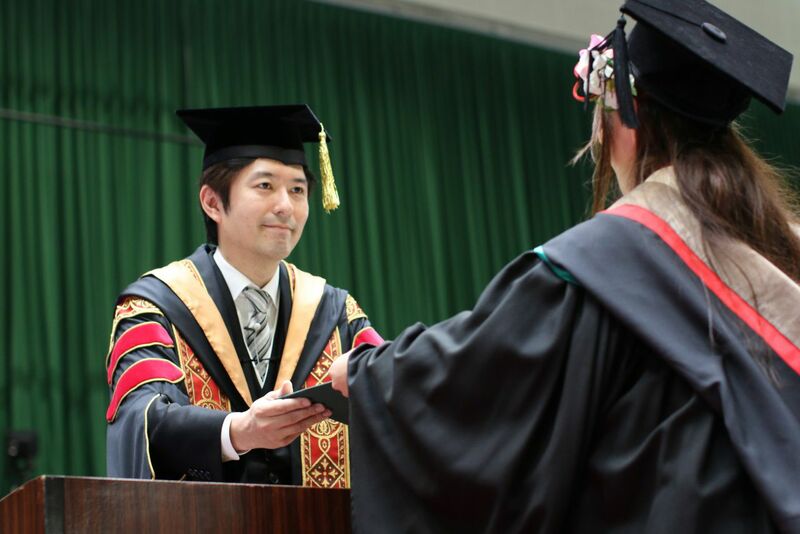 Our Chairman, Hiroyuki Kurimoto, gave a heartwarming speech at the ceremony to congratulate everyone for their hard work during these years of studies and wished them all the best in their future endeavors while their family, friends and colleagues watched over with happiness and pride. In all of their memories, this will be one special moment that will be treasured for decades to come. As the new graduates set to follow their own dreams and growth, we congratulate everyone for their accomplishments and wish them great success and joy in their paths! Copyright © NUCB Undergraduate School. All rights reserved.